Next April, the Gold Coast hosts one of the world’s premier sporting events — the Commonwealth Games — but the real excitement actually starts after the final event. Few cities get the chance to host an event that showcases its marvellous features to the world but also provides the opportunity to address its future direction. The Commonwealth Games is this moment for the Gold Coast. As Queenslanders know, the 1982 Games and subsequent 1988 World Expo helped change Brisbane from a big country town to the sophisticated modern city it is today. The sporting spectacle of the Games will be a joy to watch but the time is now right for the Coast to consider how it uses this experience to create a lasting, positive legacy. Thankfully, the Gold Coast is well positioned to diversify its economy for success. • Great sporting facilities, AFL and NRL clubs and an emerging rich cultural scene. The competition today for investment is fierce and tough but a city with world-class assets and a smart strategy can succeed not just domestically but also globally. Let’s not forget that a little over a generation ago the world had not heard of Silicon Valley. Now its business growth has changed the world. The legacy from the Games is not just for big business and governments but all businesses. 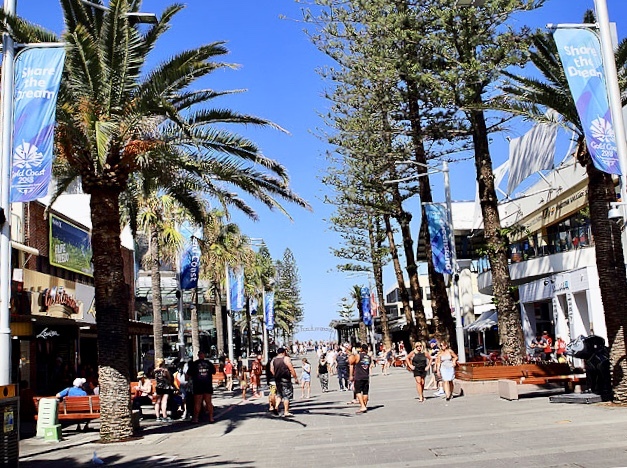 All Gold Coast businesses – big, medium and small – should use the Games to create their next phase of growth and to create a momentum to benefit future generations.